Aspire Charter Academy is a public elementary school. When investigating options for our students we came across Sports Court CFL. The entire way through the process they exceeded our expectations. The entire staff from top to bottom were a pleasure to work with. They actually under promised and over delivered. We were anticipating approximately 6 weeks from beginning to end and they completed our project in about 2 weeks with little to no disruption to our students or staff. The product is fantastic! We opted for the sports base for many reasons, it can all be relocated to another location, it's recyclable and the most important thing to us was the increased safety rating . We have the flexibility of adding additional components and increasing the size a later date, making it an affordable option for us. We highly recommend this company. 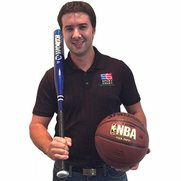 Our experience with SportCourt and the whole team was exceptional! We had a small project, but I felt like we were their most important client. Our tight timeline was not a problem for them to accommodate. The follow up after the installation was timely and helped me feel even better about our purchase. Big thanks to Alan and his whole team!!! 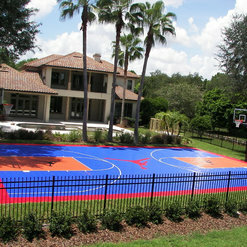 We recently added on a basketball court for our family. Let me tell you, it's has been a wonderful experience working with sport court! They were courteous and quick with whole process! We are truly happy with the results!! 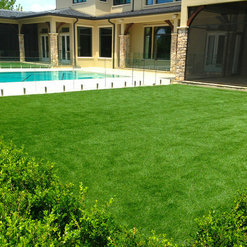 What a pleasure it was to work with such a professional company. 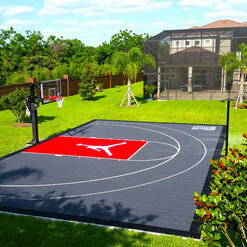 Sport Court was so thorough, detail oriented and dedicated to making sure we received the basketball court we so desired. They handled all the permitting and issues that we had from our pesky city. It was seamless for us. They followed through on everything they promised and even did more. It is so nice to work with a company that actually over-delivers. Thanks to James and the entire staff at Sport Court CFL. We are loving our new court! Wow, Thank you so much! If was a pleasure getting to build your Family Dream Court! 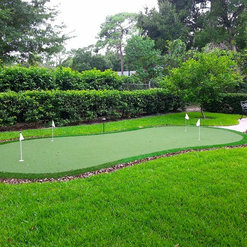 I used Sport Court to install a putting green in our lanai, and a halfcourt basketball facility in our backyard. 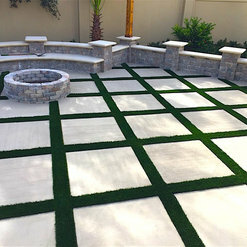 The layout of the design and sales process was quick and easy. 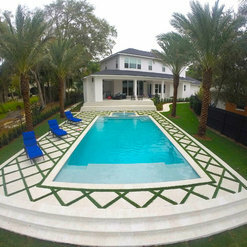 Once the paperwork was all done, things slowed down, we were told 4-6 weeks to complete the project, however this became longer due to our complex changes. The one thing I can say is, eventhough Sport Court's timelines were thrown off, they did incredible work. The attention to detail while unstanding what I wanted, was exceptional. I could not be more happy with the end result. 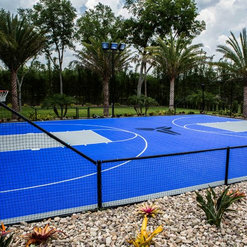 It cost more money than expected, and took more time than expected, but the end result is a specialized craft that only SportCourt's experience could create. Thank you for our dream yard! 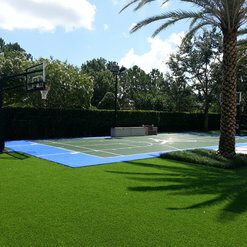 I had a basketball court put in at my home last year by Sport Court CFL. 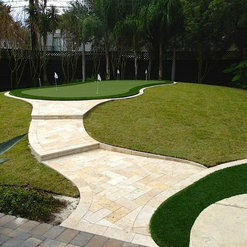 They really did a great job and I am very pleased with the end product. 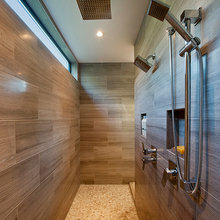 They were professional and delivered exactly what we discussed and agreed upon. I would recommend them to anyone. 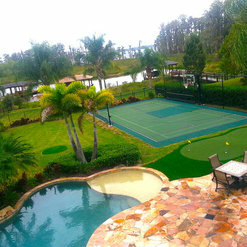 James with Sport Courts was fabulous. Receptive to all my questions and concerns. His pricing was fair. Once the permits arrived, everything progressed like clock work. Was worried the permitting would hold things up but they managed to get the permits surprisingly in 24 hours. Would strongly recommend James Kach and his team for your future project. 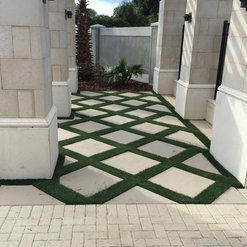 Very professional; they knew exactly what they were doing and delivered a great court for our family. Highly recommend their services. It was a joy getting to know your family and building your Sport Court! Commented: Your court sizeHi Ron, pretty close, 44'x70'. Commented: FenceThat is a powder coated sch40 steel tubing with a 1-1/2&quot; Nylon mesh ball containment system. 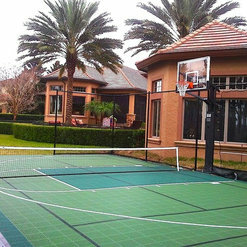 Commented: What are the dimensions of this court?This Sport Court is 44'x60'.